Slide over Chardonnay . . . and make room at the cool kids table for Pecorino. Snack Time! Photo used by permission, Featherstone Winery. Pecorino (no relation to the cheese) is a white grape variety native to the Le Marche region of Italy. The grape’s name comes from the Italian word pecora, which means sheep. The pecorino grape wasn’t named specifically after sheep, but because herds of sheep, driven from pasture to pasture through Le Marche, loved to stop along their way and snack on the grapes. A note about the photo on the top right. This adorable little guy is an employee at Featherstone Winery in Ontario, Canada. He isn’t eating the grapes, he’s eating the grape leaves, in and around the grape “fruiting zone”. Removing these leaves exposes the grapes to more sunlight and air circulation, and enhances the fruit quality. Once the grapes start to ripen, the sheep are moved out of the vineyard . . . because the sheep of Le Marche aren’t the only ones who think sweet grapes are an irresistible snack! I’ll get back on track now. 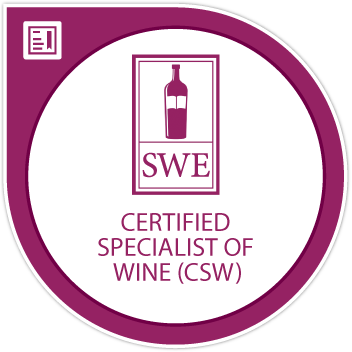 I just completed a 3-week continuing education class called Wine Studio, hosted by Protocol Wine Studio in San Diego, California. The classes meet on Tuesday nights (each series is usually 3-4 weeks long) from 9-10pm EST, live on Twitter. Each session is a different journey to both discovered and undiscovered wine regions. Participants examine not only the wines, but the regional food and history, as well. If you’d like to follow along, or, better yet, join in the fun, just search #WineStudio on Twitter. The most recent Wine Studio session was a study of the Le Marche region of Italy. If you asked me a month ago what kind of wine comes from Le Marche, I would have given you a really eloquent answer like, Uh . . . the red kind?? Honestly, I’ve always found Italian wines a bit bewildering. Italy has somewhere around 350 billion different grape varieties, so unless you’ve got a sommelier specialty in Italian wine, it can be intimidating to venture outside the Sangiovese comfort zone. But fortunately, we had a great tour guide with us on our virtual wine field-trip to Le Marche. The featured in-studio guest for this month’s WineStudio was Jonathan Ziegler of ZGR Imports, based in Dana Point, California. ZGR specializes in wines from Le Marche. He’s also quite knowledgeable about the region as a tourism destination — hint, hint. We tasted a total of four wines — two whites (Pecorinos) and two red blends (Sangiovese and Montepulciano). I won’t get into the reds here, not because they weren’t good, but because I was blown away by the Pecorino, so I’m steering my blog post in that direction. Also, several of my blogging comrades have written quite excellent posts about the Le Marche WineStudio (they are listed below). If I missed someone, let me know and I will go back and add it. Cliff’s Wine Picks has a particularly good explanation of the WineStudio concept and process. So . . . about this Pecorino. I can’t remember the last time I was this impressed with an Italian white wine. Had I been wearing socks when I tasted Pecorino, they would have been knocked off! There’s always been a stereotype swirling around Italian white wines as wimpy and weak — we can dispense of that stereotype right now. There’s nothing shy or flabby about Pecorino. Once on the brink of extinction, Pecorino is having a Phoenix moment. Pecorino is a grape that ripens early, and thrives at a slight altitude — it’s right at home in Le Marche. If you’re like me and think better with a map, here you go. Le Marche is bordered by the Adriatic Sea to the east and the Apennine Mountains to the west. I wonder if Hannibal’s elephants thought the Pecorino grapes were a tasty snack, too? On to the Pecorino duet . . .
Family owned, Centanni is located in the Ascoli Piceno province in southern Le Marche. The Centanni family has been making wines for over 100 years. Their wines are sealed with glass “corks” from VinoLok, which I love. I saved them both, and kinda feel like I need to do something crafty and clever with them. But really, they’ll just end up sitting on my wine tchochke shelf looking pretty. Medium body, with a roll-out-the-welcome-mat nose — banana, spice, and minerals. This is a great quaffing wine. Slightly effervescent mouthfeel. Lively, with great balance, and flavors of lime and wet stones. Dried mango on the lingering finish. 14.5% ABV. I asked Jonathan if the 14.5% ABV was typical for a Pecorino: “Yes, this is a grape with thick skin and a high brix, so it needs the higher alcohol to fully express itself.” $29. Rio Maggio is ZGR’s second brand. Rio Maggio is located in the Fermo province of Le Marche (just north of Ascoli Piceno). Another family wine endeavor, Rio Maggio started making wine in 1976. 100% Pecorino. Stainless steel fermentation. Medium weight, with a creamy texture. Pecorino is a grape that has naturally high acidity, and this is another beautifully balanced wine. Apple, citrus and mineral notes run throughout. There’s a brininess to this wine that is fresh and clean. Spice and almonds linger on the finish. 13.5% alcohol. Really great paired with a Pecorino Risotto. And not surprisingly, a perfect partner for a wedge of Pecorino cheese, too. $24. Learning about Le Marche was like getting a new stamp on my passport. Meeting Pecorino along the way was an unexpected bonus — I tried something new (finally completed my Wine Century Club application!) and expanded my wine horizons once again. Le Marche is a relatively undiscovered and untapped wine region in Italy. If you want to get in on the ground floor of something special, seek out and try all the wines of Le Marche . . . but especially Pecorino. I’ve never tasted this wine, your review is wonderful and I have to find it. I’m in love with those glass corks and yes wine is TOTALLY awesome. I also just tried Pecorino for the first time and loved it also!! So fun to discover new things! They both sound delicious. You are making me thirsty! Love the glass corks! I always enjoy a good tip about a new wine. Thank you. Wow! I’m going to head out to get a bottle right away! Thanks for the great recommend, as always! Did not know of Pecorino (the wine, that is!). Lovely to have a new grape to seek. Sounds delicious! Cheers. If you try it . . . be sure to let me know what you think! Salud!! 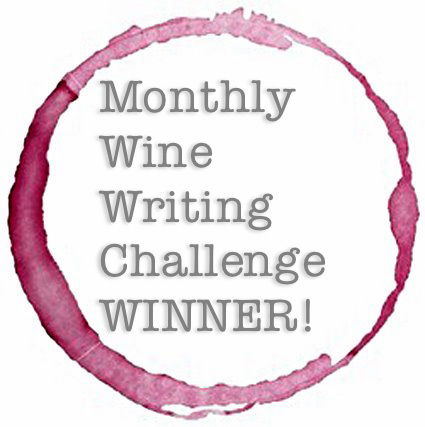 Just saw this pop up on Tina’s #winestudio FB page! I tried Pecorino for the first time last April at Vinitaly and as you, I was taken by this grape! Thanks for the reminder to seek out more Pecorino. It’s not easy to find.